There is no such thing as a magic camera, lens, filter, flash, or tripod that does it all – hence the variety of brands, focal lengths, composite materials, etc., that are available is endless. Actually, part of the fun is not just having what you need, but sometimes what you want. Like something different, even though it doesn’t have the best reviews and specs by others, or something to experiment with, to broaden your creative horizons. But, there is one thing we all must consider when going out for a shoot, and that is what to bring, or even more importantly, what NOT to bring. Oh that agonizing decision of going through the pros and cons of each widget you could bring. There countless variables depending on personal tastes, what you will be shooting, and how long you will be on your photo shoot, just to mention a few. There is one constant though, stuff goes wrong, things break, bags get lost, and it is not always easy to get a replacement in time, or even at all. Most of us don’t have sponsors who pay for our gear, and that last lens you just picked up was a financial hardship (that you were happy to endure). So, there are some simple pieces of advice that I have picked up from my own stupid mistakes, and from others, professionals and avid amateurs alike, which might save you and your gear in a pinch. There are many articles on, what’s in my bag, and while it is fun to see what others are doing, the real question is what should you be doing? How much of everything do you want, and what specifics are you really going for? Do you want to bring your best gear, or will something more average do just fine with much less worry? Here are some tips for protecting your gear and being prepared for anything. 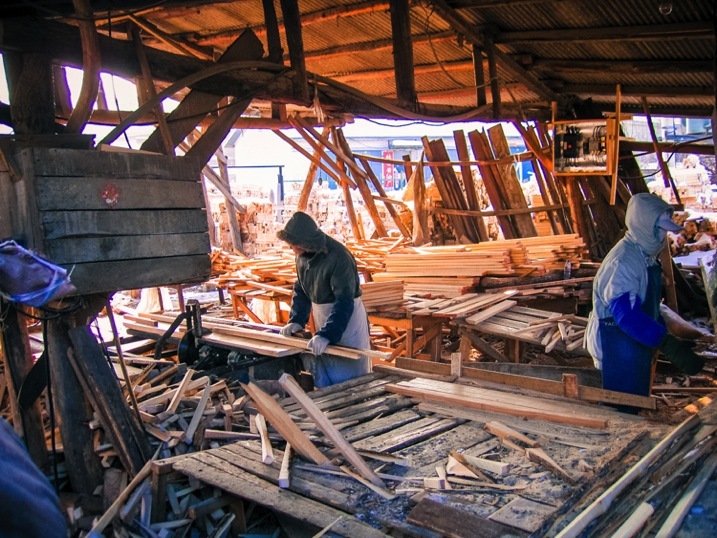 In the far NE of China this longing village was cutting down full trees, and making them into dowels to be shipped to the US to make hammers. With all the flying wood chips and dust, a UV filter was added protection. Better than me telling you the answer here, you can google, “Should I Use a UV Filter on my lens?”. You will find results galore, and many varying opinions. But, let me show you a picture and it may just persuade you to use one. My lens hood was on, but I had just turned it backwards to save space while I was going to eat. My lens cap was also on. Sitting down on a street market bench to indulge, I brushed the lens cap pinching the hinges just enough that the cap popped off. Then, as momentum carried me down, a steel bench post smashed into my camera and I heard glass break. My heart sank, as horrible thoughts of my lens dying raced through my head. It could have been my front lens element, but it wasn’t! It was my $35 UV filter, not my $900 dollar lens. For casual use, keep a UV filter on! If it breaks like mine did, a circular polarized filter can be a great backup too. Just don’t forget to turn it, to make sure you are getting the best out of your filter. This is the glass that broke and saved my front lens element. I was in a small mountain town in central Guatemala with no possibility of replacing the lens. When I generally think of my lens hoods, image quality is what first comes to mind. Less glare, less flair, better saturation and contrast, etc. Sometimes the tulip hoods look nice on a lens, so cosmetically it can be pleasing as well. But they do add significant length, and even when screwed on backwards, not protruding outwards, they increase the diameter, especially on larger lenses, making it tough to cram into your travel bag. Recently, in Cuba I ran across another amateur photographer, and one of his first comments after exchanging pleasantries was, where is the hood for your lens? The 70-200mm f2.8 IS is a big lens, and making it 25% longer while trying to not impose on subjects, was my deciding factor for leaving the hood at the hotel. I replied, “I have my UV filter on.” He quietly said to me that he was a glass engineer, and he politely suggested, with total altruistic intention, to keep my lens hood on. It has been on ever since. Protection value is even better than a UV filter and image quality improvements are worth it! 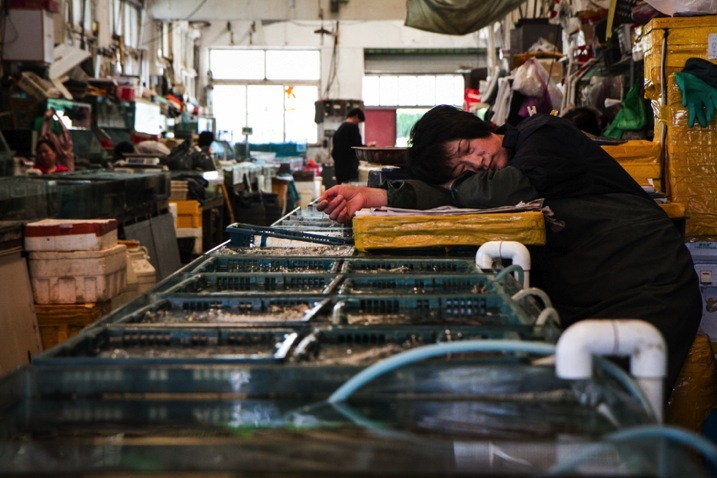 In a seafood market in a coastal city in NE China, squirming fish, spitting clams and twitching shrimp will definitely get salt water on your lens. Only a UV filter would leave you with water spots, but a lens hood helps keep the salt water off of the front element. 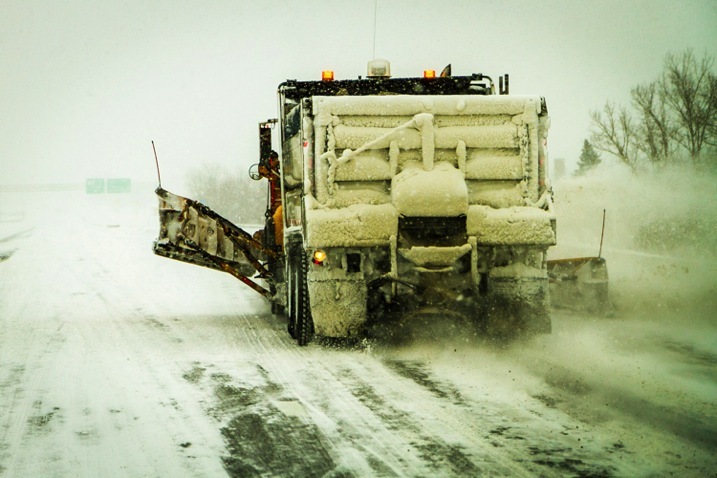 In New York State during the 2015 super snow year, following this plow, that lays gravel and salt, with my camera out the window is dangerous for a front lens element. Having all the protection of a lens hood and a UV filter is important to protect your gear. The little lens cap: This one goes out to amateurs more than the enthusiast. If you are not shooting, keep your lens cap on. This is a very good line of defence for your front lens element. A doctor doesn’t examine a patient without protective gloves, nor should a photographer leave his lens exposed, while enjoying carnival rides or waterfalls. Keeping your lens protected is most important, but clean is essential as well. 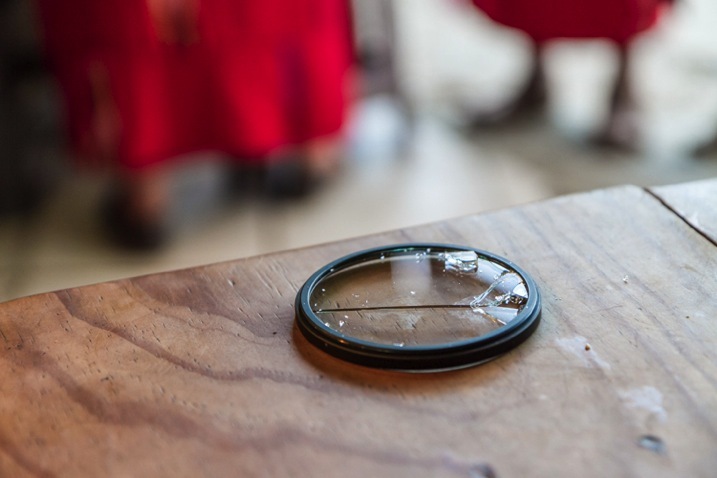 Also, if you are switching lenses, keep an extra cap for the back of your lens in your bag. They are all the same size, unlike the front lens cap, so if you lose one it is no big deal as one size fits all. Cleaning dust, dirt, hair or oil from the inside of the lens is a nightmare. 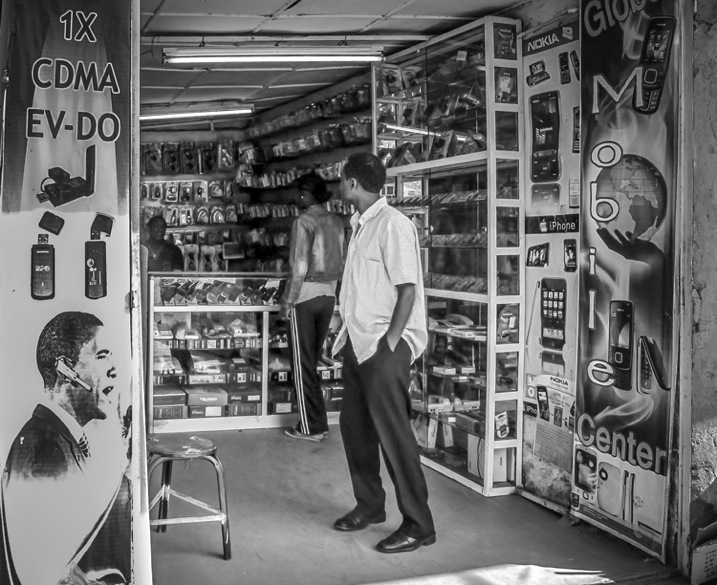 Access to your camera shop or online retailer is not possible when you’re away from home. Maybe your favorite online shop could overnight you something in any developed country, but outside the US, Canada, and some parts of Western Europe, you are out of luck. UV filters can be found at many small electronic stores at a 20% markup or so, but the sizes available may be limited. Kit lenses these days usually have a 58m or 67mm thread size, and maybe you might get lucky if they have a 72mm filter. Anything in the 77mm or higher range will be near impossible to find. Underdeveloped nations don’t have the ability to hold stock for the occasional guy who smashed his fancy gear, (that which could feed a whole village for a week). Thus, don’t bring more, simplify. Think how you can adapt if something breaks? Like using a polarized filter or an ND filter if your UV filter bites the dust. Using an ND filter and bringing your tripod might just help you broaden your portfolio for the trip; a little blessing in disguise. It used to be no film, no picture. Now it is no memory, no picture. Recently, I was in Central America and one trip got cancelled, and another one came up. It was a photographer’s delight, Cuba! I didn’t have my computer, and didn’t want to plug my gear into a sketchy internet bar computer. The solution in a developed country is to just stock up on a few more CF cards. The reality is that in developing markets CF cards are not available. Finding a name brand CF card that will have 30mb/second or more, is near impossible. Developing nations are still using basic point and shoot cameras, if they have any at all, and even more popular are mobile phones with mini SD’s in them. SD cards are abundant, along with mini SD cards with adapters, but that does you no good for the higher end DSLRs. CF cards are relatively cheap and tiny compared to lenses, camera bodies and flashes. Stuff a couple extra in your bag. 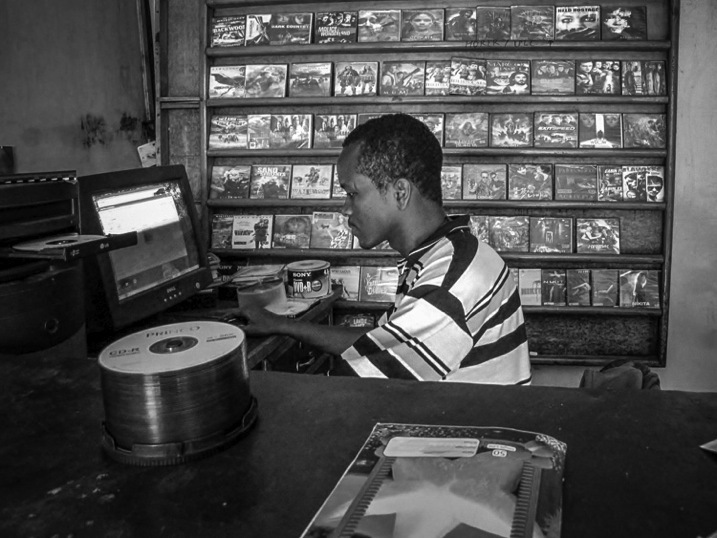 In northern Ethiopia this was the one of two stores that carried electronic goods. Most items are mobile phone related. Getting into other parts of the world, like SE Asia and China, both of which are still in the developing stage, you will find much better luck. CF cards are available, and SD cards are going to be much cheaper. UV filters will also be available for any size. If they don’t have them in that store, ask them to get you one by the end of the day, and they will call up partner stores and send them over on the back of a moped. But you know the catch, it might not be real despite how legit it looks. In a bind, strike a deal, and you will have solved your solution at least temporarily. This was my second option for electronics. A desktop computer which was used for burning pirated movies and music. No possibility of finding higher end camera supplies. A final item that is a must is the lens pen. These are so compact, and convenient, to keep your front and rear lens elements clean. Make sure you use the brush first, then the moistened concave end for smudges. Ideally you would have air to blow off the lens first, but don’t use your mouth. No matter how careful you are particles of your saliva will appear on the lens giving you double duty. The lens pens are tiny and do wonders. Keep one in your bag, and one in your pocket, so you can get up close and personal to the crashing waves, market activity, or the big sports event. By the way, these lens pens can be found all over the world now. Grab a couple before you go, but if you lose one, or give one away to a local photographer, you may be able to find another. So, when you are off on your next photo shoot, be prepared. You can’t anticipate everything, but even combined, all of the items on this list could easily fit in your pant’s pocket. Put all of them in a sturdy Ziploc bag, and you just added another element of protection. Wrap your camera or lens in the bag in really treacherous situations. These tips provide a pretty good insurance policy for keeping your gear safe, and in proper working condition. Keeping your gear protected in harsh environments lets you focus on your creative ability to see and capture your favorite photographic styles, and do it with confidence too. Now, you still need to decide what major pieces of gear you want: super wide angle lens, telephotos, primes, single flash or multiple flashes, tripod, and the list goes on. But be sure you have your UV filters screwed on, your hoods attached, your front and rear lens caps, and some extra memory, along with the most portable and simple cleaning lens pens. 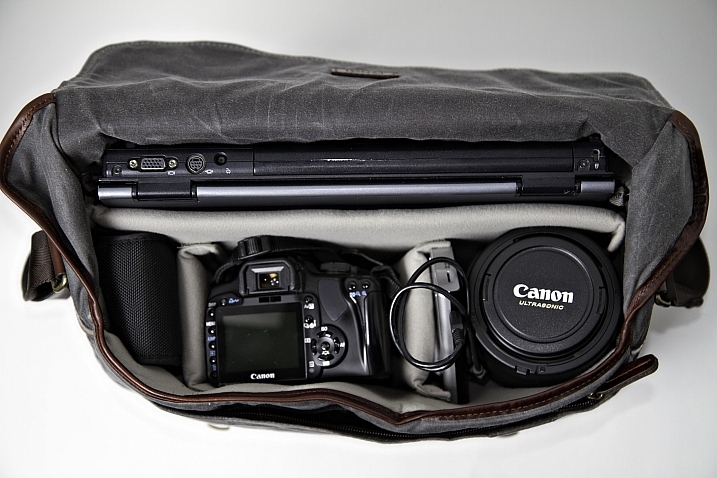 What essentials do you have in your bag when you leave for a long photo shoot out of your home range? The post 6 Tips for Protecting Your Gear from Any Hazard and Being Prepared by Branson Quenzer appeared first on Digital Photography School.